These 12 faculty members have been selected by the Faculty Personnel Committee to recieve tenure. 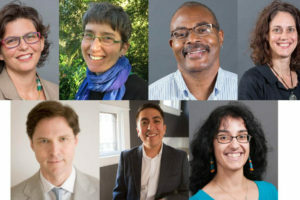 (Top row) Randall Bauer, Andrew Billing, Louisa Bradtmiller, Amy Damon (Middle row) Erik Davis, Susanna Drake, Corie Hammers, Marlon James (Bottom row) Alicia Johnson, John Kim, Victoria Malawey, Alicia Muñoz. 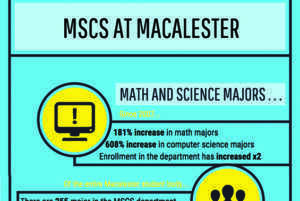 Photo courtesy of Macalester College. This January, Macalester granted tenure status to 12 faculty members: Randall Bauer of the music department; Andrew Billing of French and Francophone studies; Louisa Bradtmiller of Environmental studies; Amy Damon of Economics and Latin American studies; Erik Davis and Susanna Drake of Religious studies; Corie Hammers of Women’s, Gender, and Sexuality studies; Marlon James of English; Alicia Johnson of Mathematics, Statistics, and Computer Science; John Kim of Media and Cultural studies; Victoria Malawey of Music; and Alicia Muñoz of Hispanic and Latin American studies. As is custom, the Faculty Personnel Committee (FPC) decides who gets tenure following an evaluation of eligible faculty members’ teaching, scholarship/creative activity. 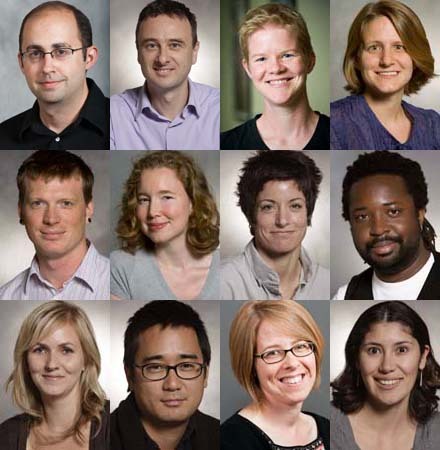 Provost Kathy Murray stated that she was “very pleased to be welcoming this group of faculty into the ranks” of Macalester’s tenured professors. Damon said she was excited for the opportunity a tenurship will offer her. She stressed Macalester’s importance as “a very supportive and diverse intellectual environment” where her passions—agriculture, food security, and social justice—can be built upon.